After years spent chasing the affections of the people who are supposed to love her unconditionally, Alice is beginning to realise that, though you can't choose your family, you can choose your future, and Alice sees her future far away from her dysfunctional family and the doldr... read full description below. 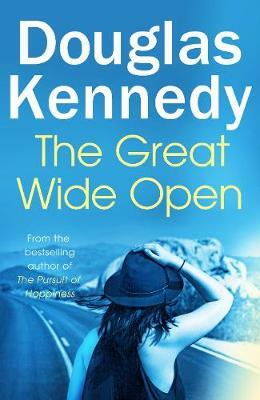 Douglas Kennedy's previous twelve novels include the critically acclaimed bestsellers The Big Picture, The Pursuit of Happiness, A Special Relationship and The Moment. He is also the author of three highly-praised travel books. The Big Picture was filmed with Romain Duris and Catherine Deneuve; The Woman in the Fifth with Ethan Hawke and Kristin Scott Thomas. His work has been translated into twenty-two languages. In 2007 he was awarded the French decoration of Chevalier de l'Ordre des Arts et des Lettres, and in 2009 the inaugural Grand Prix de Figaro. Born in Manhattan in 1955, he has two children and currently divides his time between London, Paris, Berlin, Maine and New York.